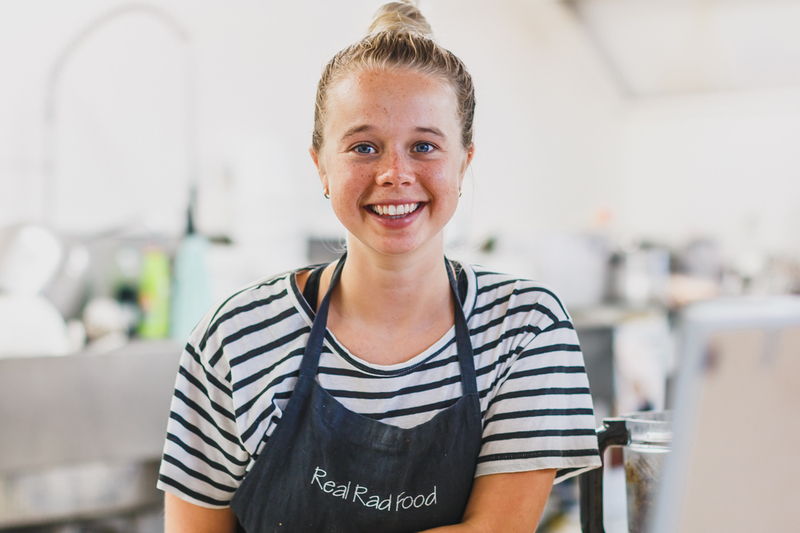 I first met Hannah at the very beginning of her full-time “Real Rad Food” journey. After juggling her job at a local cafe and a passion for making raw cakes for quite a while, this smiley blonde made a bold move – she quit her main job and went all in. 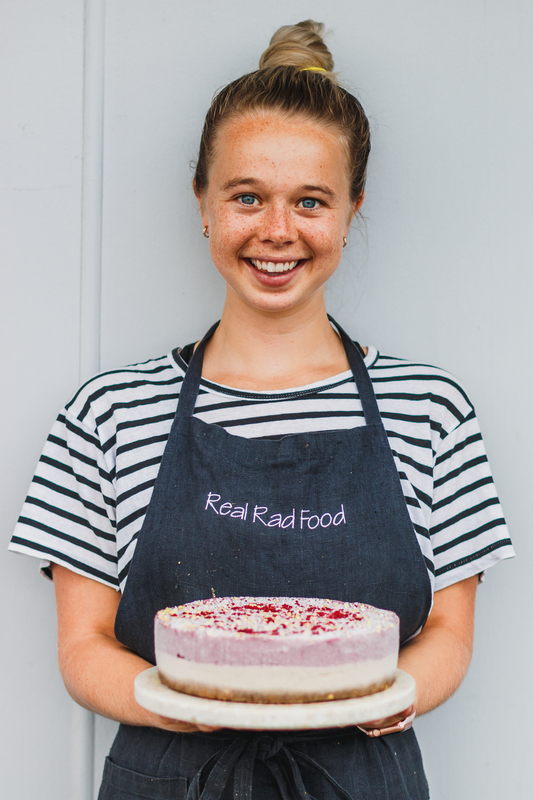 “Real Rad Food” cakes, slices and raw balls then became available at all the local markets and step by step made it into the fancy local cafes. 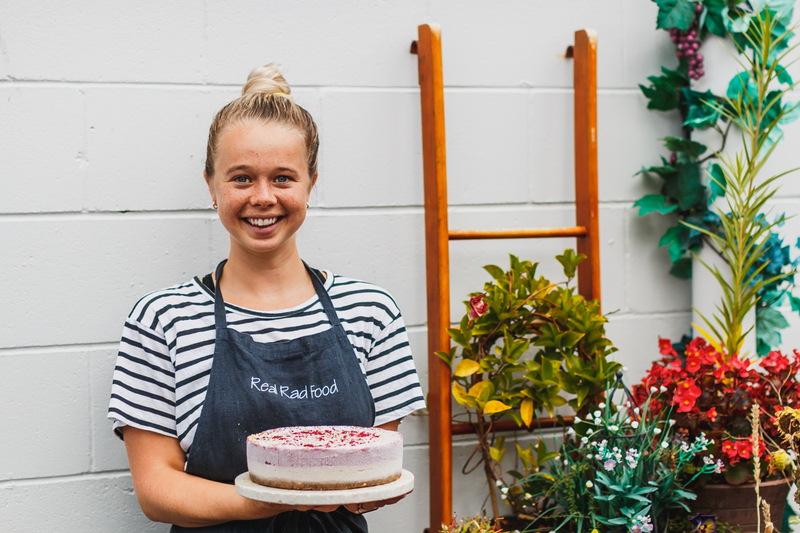 Healthy vegan treats took Tauranga by storm and are now conquering New Zealand! 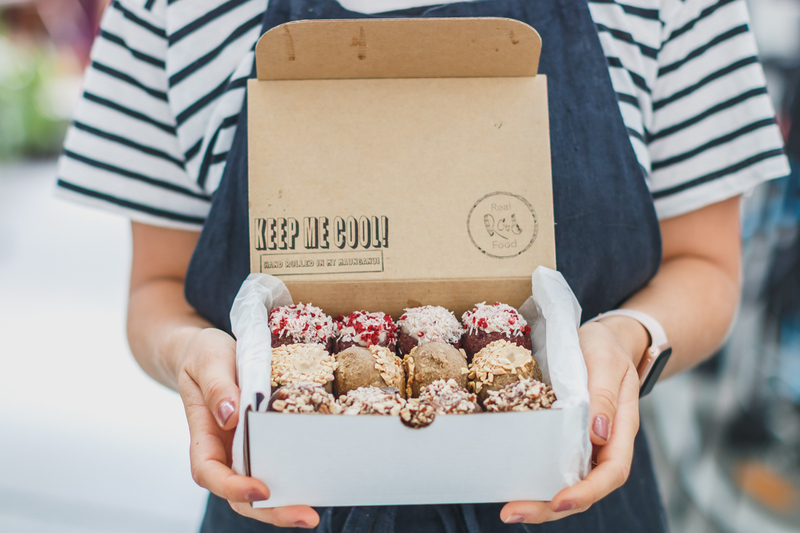 You can order raw balls to any place nationwide, cakes are being delivered all over Bay of Plenty and Waikato. A year later, and I visit Hannah at her kitchen, where she now spends 50 hours per week, for another chat. It’s 10 am and Hannah already has the nuts soaked and aromatic mixture for the new balls blended. It’s time for some meditative cake decoration. While making her first steps as a raw/vegan chef, Hannah was also gradually building her social media following. “I started Instagram page. I was making food, taking photos and sharing recipes. Guess, that large Instagram food community I was involved into also gave me a lot of inspiration.” Accounts that Hannah finds really inspiring are @sobeautifullyreal and @talinegabriel. By the way, you will never believe how her signature Instagram style – white background and bright colours – is achieved! Hannah takes me to a nice and clean wall in front of neighbourhood’s tiny coffeeshop. One wall, one tripod and endless cakes – that’s how the magic is made! Luckily for her, beautiful House of Yoga is located right across the road from the kitchen. Regular morning workouts help Hannah to slow down and balance out her “go-go-go” attitude. Anyone else not surprised she had no vacations since starting her business? And niche business doesn’t necessarily mean limited options! Hannah used to have “Test kitchen Tuesday”, when she was experimenting with new flavours and textures, every week! These days she doesn’t have the luxury of an entire free day without getting orders and wholesales ready, but still enjoys introducing new yummy ideas every now and then. For example, recently she created Cookie Dough slices that everyone went totally crazy about. With winter’s chill on its way, things at Real Rad Kitchen are only getting hotter. 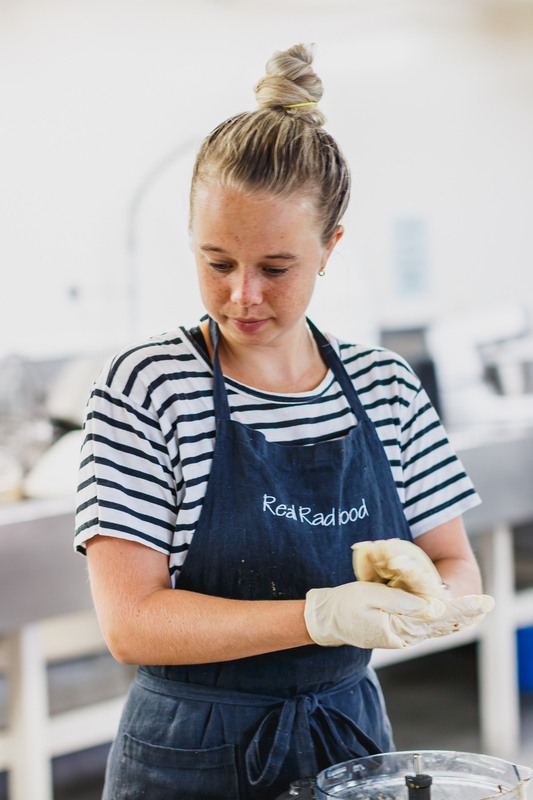 This season Hannah will most probably start training her first employee, so that she could devote more time and energy to blog on her website and finding new epic foodie places to stock her products. Which I couldn’t be happier about, because the more wholesales she gets, the closer to my home (hopefully!) will I be able to indulge into my favourite Banoffee Pie Cake!